Abstract：Butterfly is an important biological indicator for evaluating the impact of the urbanization on biodiversity. Urbanization is increasing in Taizhou city. However, the impact of urbanization on butterfly diversity has not been evaluated. 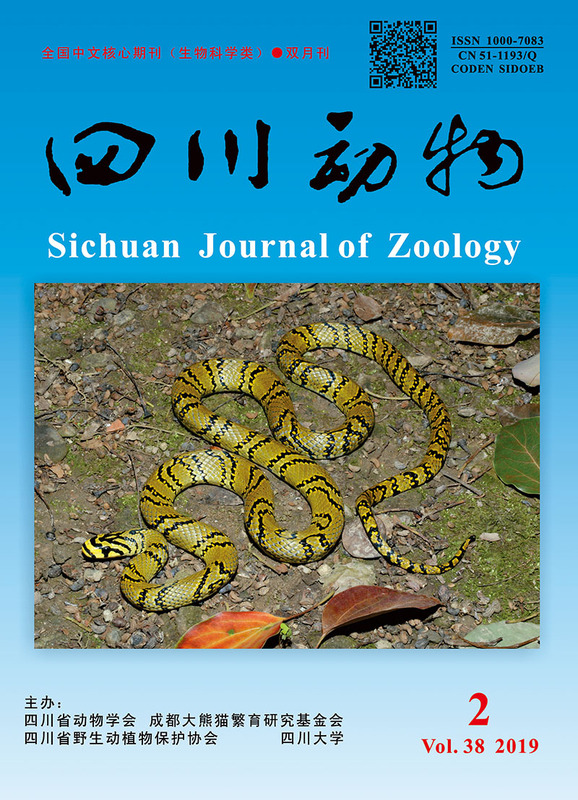 From April to September in 2017, 6 line-transects in 3 different urbanized regions were selected according to the urbanization gradient, and line-transect method was taken for the butterfly survey; meanwhile, statistical analysis was employed to evaluate the effects of urbanization on the butterfly diversity of Taizhou city. The results showed that 142 species of butterflies, belonging to 85 genera and 5 families, were investigated, and Pieris rapae was the dominant species. The Margalef richness index, Shannon-Wiener diversity index, Pielou evenness index and Simpson dominance index of these butterflies were ranked as rural > suburb > urban, and the differences were significant. Significant differences were detected in the number of families, genera and species among 3 different urbanized regions; but there was no significant difference between the 2 line-transects of the same region. In individual level, significant differences were observed between the rural line-transect 1 (V1) and the urban line-transect 1 (U1), V1 and U2, and V2 and U1. It is concluded that urbanization has negative effect on the number of species and the individuals of butterfly in Taizhou city, and the number of butterfly in the upper species level is suitable for evaluating urbanization in Taizhou city. 曹丽娟, 赵红蕊, 杜祥林. 2018. 白河林业局森林昆虫群落多样性[J]. 东北林业大学学报, 46(3):74-79. 陈振宁, 曾阳, 鲍敏, 等. 2006. 青海互助北山国家森林公园不同生境的蝶类多样性研究[J]. 生物多样性, 14(6):517-524. 房丽君, 关建玲. 2010. 蝴蝶对全球气候变化的响应及其研究进展[J]. 环境昆虫学报, 32(3):399-406. 房丽君, 徐海根, 关建玲. 2013. 欧洲蝴蝶监测的历史、现状与我国的发展对策[J]. 应用生态学报, 24(9):2691-2698. 顾伟, 马玲, 刘哲强, 等. 2015. 小兴安岭凉水自然保护区蝶类多样性[J]. 生态学报, 35(22):7387-7396. 黄红英, 朱飞, 欧建群. 2003. 广东韶关市郊不同生境蝶类种群结构及多样性的初步研究[J]. 昆虫知识, 40(2):167-171. 李俊生, 高吉喜, 张晓岚, 等. 2005. 城市化对生物多样性的影响研究综述[J]. 生态学杂志, 24(8):953-957. 毛奇正, 马克明, 邬建国, 等. 2013. 城市生物多样性分布格局研究进展[J]. 生态学报, 33(4):1051-1064. 彭羽, 刘雪华, 薛达元, 等. 2012. 城市化对本土植物多样性的影响——以廊坊市为例[J]. 生态学报, 32(3):723-729. 王如松, 胡聃, 王祥荣, 等. 2004. 城市生态服务[M]. 北京:气象出版社. 吴人韦. 1999. 城市生物多样性策略[J]. 城市规划学刊, 1:18-20. 武春生, 徐堉峰. 2017. 中国蝴蝶图鉴[M]. 福建:海峡书局. 晏华, 袁兴中, 刘文萍, 等. 2006. 城市化对蝴蝶多样性的影响:以重庆市为例[J]. 生物多样性, 14(3):216-222. 阳文锐. 2017. 北京城市土地复合生态服务功效演变特征[J]. 生态学报, 37(12):4169-4181. 张立微, 张红玉. 2016. 蝶类对生境的指示作用研究进展[J]. 生物学杂志, 33(3):88-91. Bolund P, Hunhammar S. 1999. Ecosystem services in urban areas[J]. Ecological Economics, 29(2):293-301. Clark PJ, Reed JM, Chew FS. 2007. Effects of urbanization on butterfly species richness, guild structure, and rarity[J]. Urban Ecosystems, 10:321-337. Czech B, Kransman PR, Devers PK. 2000. Economic associations among causes of species endangerment in the United States[J]. Bioscience, 50(7):593-601. Ehrlich PR, Murphy DD. 2010. Conservation lessons from long-term studies of checker spot butterflies[J]. Conservation Biology, 1(2):122-131. Heaney LR. 2001. Small mammal diversity along elevational gradients in the Philippines:an assessment of pattern and hypotheses[J]. Global Ecology and Biogeography, 10:15-39. Lee PF, Ding TS, Hsu FH, et al. 2004. Breeding bird species richness in Taiwan:distribution on gradients of elevation, primary productivity and urbanization[J]. Journal of Biogeography, 31:307-314. McKinney ML. 2002. Urbanization, biodiversity, and conservation[J]. Bioscience, 52(10):883-890. McKinney ML. 2006. Urbanization as a major cause of biotic homogenization[J]. Biological Conservation, 127(3):247-260. Miller JR. 2005. Biodiversity conservation and the extinction of experience[J]. Trends in Ecology & Evolution, 20(8):430-434. Miller JR. 2006. Restoration, reconciliation, and reconnecting with nature nearby[J]. Biological Conservation, 127(3):356-361. Pollard E, Yates TJ. 1993. Monitoring butterflies for ecology and conservation:the British butterfly monitoring scheme[M]. Netherlands:Springer. Wilson JW, Sexton JO, Jobe RT, et al. 2013. The relative contribution of terrain, land cover, and vegetation structure indices to species distribution models[J]. Biological Conservation, 164:170-176.